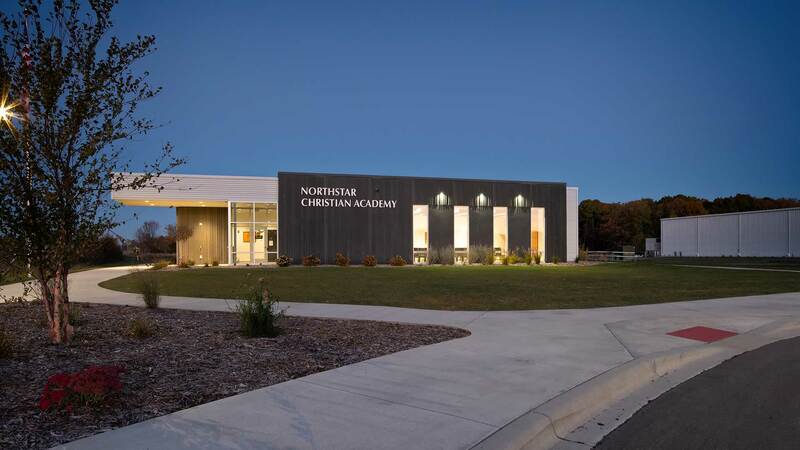 Located adjacent to the Alexandria Area High School, the NorthStar Christian Academy provides new state-of-the-art learning spaces for high school students wishing to further their education and strengthen their spirituality through faith-based curriculum. 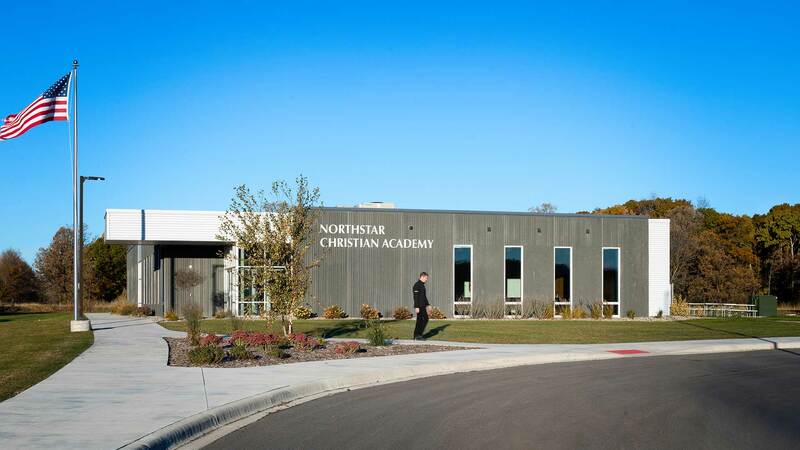 The academy’s primary learning spaces include four 900 square foot classrooms, a collaborative break-out space, and a computer lab. 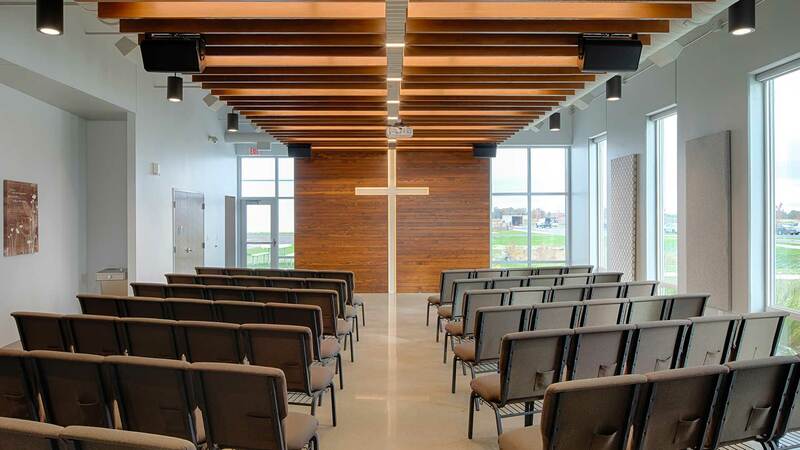 Located directly within the main entrance, the expansive day-lit commons space also doubles as the Chapel and can hold up to 140 people. 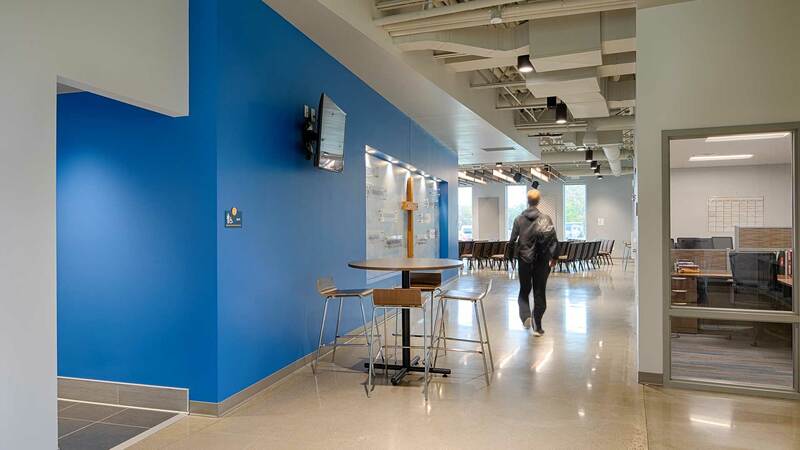 The design of the facility provides ample daylighting and views to all the learning and staff support spaces, as well as the provides the necessary technology and security to serve an educational facility in the 21st century. 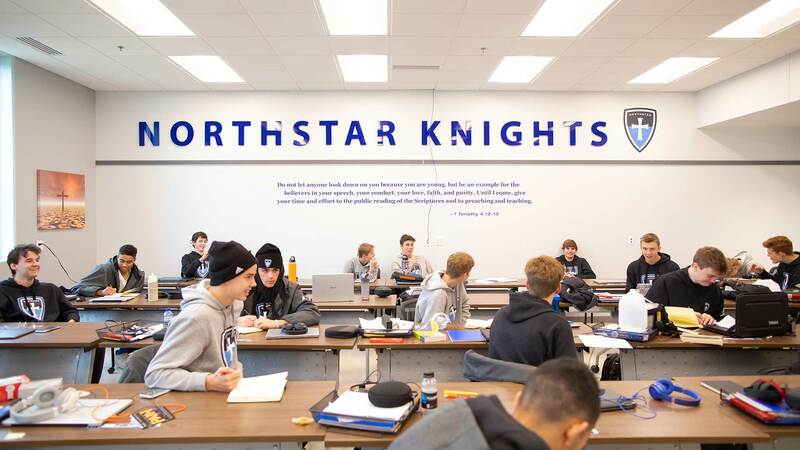 New state-of-the-art learning spaces for high school students wishing to further their education and strengthen their spirituality through faith-based curriculum.